The exhibition An Opera of Labour and Revolution takes an unsentimental look at the collective and its expressions both today and in the past juxtaposing artworks based on the iconography of heroic, revolutionary gestures or collaborative, unified action. At the same time, the presented artworks also address the manifold risks of the collective such as loss of origin and identity, of self-determination and personal freedom. Creating an ambiguous balance between utopia and distopia, the artworks each speak for themselves through their strong performative quality. 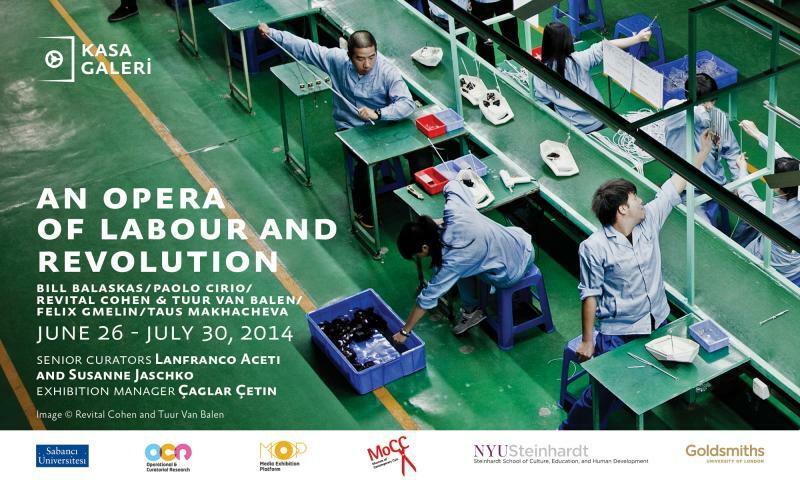 An Opera of Labour and Revolution presents artworks by Bill Balaskas, Paolo Cirio, Revital Cohen and Tuur van Balen, Felix Gmelin and Taus Makhacheva. It is curated by Lanfranco Aceti and Susanne Jaschko and will take place at Kasa Gallery from June 26, 2014 to July 30, 2014. 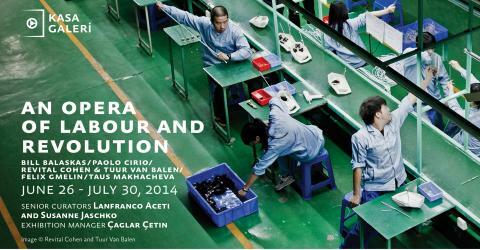 Exhibition dates: June 26 – July 30, 2014. Theodor W. Adorno, Hegel: Three Studies, çev. Shierry Weber Nicholsen (Cambridge, MA: MIT Press, 1993), 63.